One platinum and 15 karat yellow gold art deco ring, circa 1925. 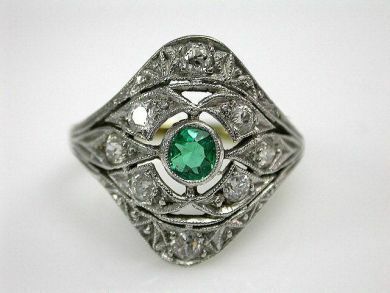 The openwork ring is set with one emerald (0.21 carats). Eight old European cut diamonds (0.48 carats: SI1 clarity: G-H colour).